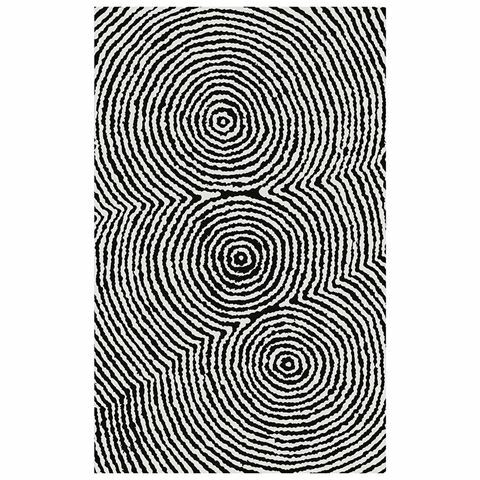 Together with Woolmark and selected Indigenous artists, Alperstein have released a plush range of woollen throw rugs that could very well be artistic tapestries. Spun from pure new wool yarn, they’re beautifully soft and versatile, with a breathability that provides year-round comfort. Kathleen Gibson’s design depicts her homeland of Nyirrripi, a place covered in sand and low vegetation. Sandstorms and whirly-whirly, (miniature tornados) are a common sight, and they lift and deposit dust and seeds to continue the desert cycle elsewhere. 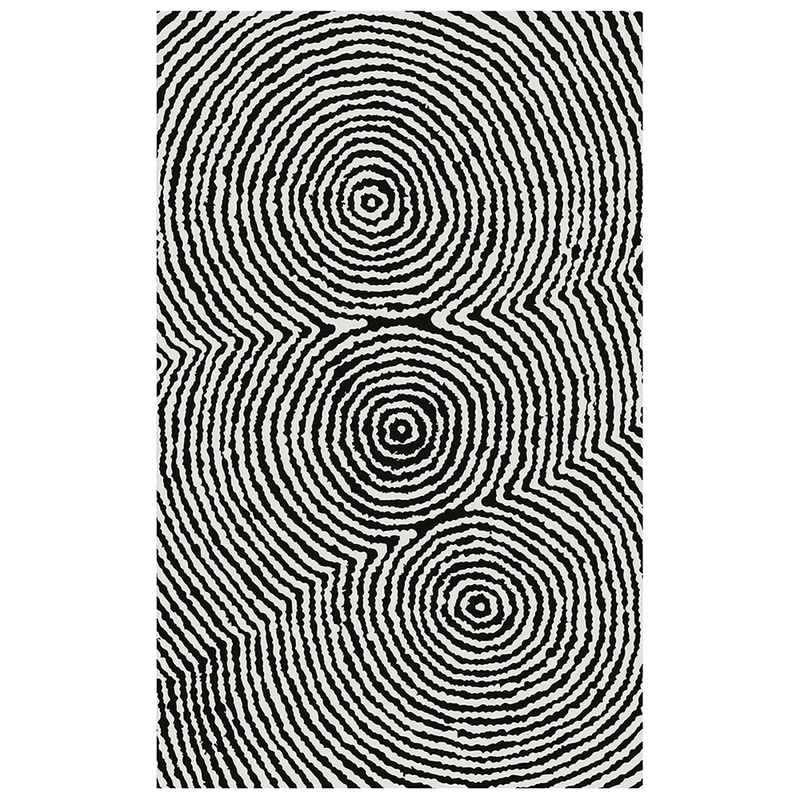 Upon this Woollen Throw Rug, several whirly-whirly are depicted together, rising out of the dusty earth. Kathleen Gibson’s Throw Rug is a powerful way to bring this historic art to life. Made from 100% new wool, certified by Woolmark. Royalties from this product directly benefits the artist and their community.